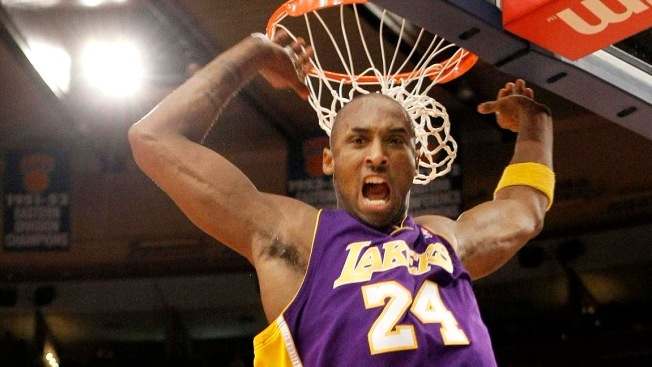 “Kobe Doin’Work” is a documentary by Spike Lee about Los Angeles Lakers superstar Kobe Bryant. Who call tell Kobe’s story on celluloid better than Spike? “Kobe Doin’ Work,” Spike Lee’s documentary on Los Angeles Lakers superstar Kobe Bryant, will make its world premier at the Tribeca Film Festival today. Lee, a conspicuous sports fan, boasts complete access to Bryant in this day-in-the life style documentary. The film uses a wireless body microphone and 30 cameras to capture Bryant’s every move -- on the court and off. “With unprecedented access, Lee follows (Kobe’s) arrival at the Staples Center through team meetings and pre-game warm-ups, during the game itself, and at the end of his day as he, his wife, and his kids get in the car to drive home,” the festival said. Lee said the Lakes and NBA demanded little editing of the movie. “There was not any change suggested,” Lee said.